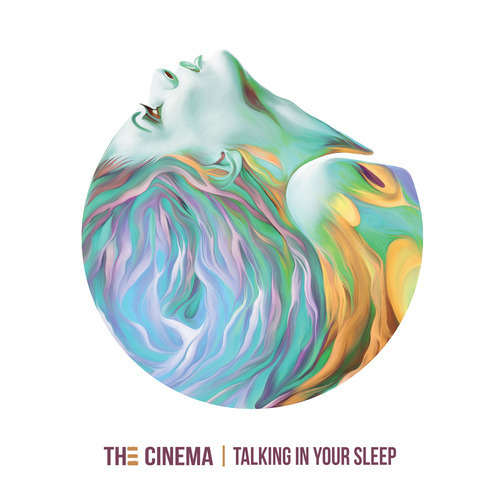 After two years of writing and producing to make theirsophomore album perfect, The Cinema has released their newest full length Talking In Your Sleep. Consisting of Leighton Antelman, lead vocalist of Lydia, and music producer Matt Malpass The Cinema melds different types of music to create a unique feel in their new album. Melodies are layered in a modern way to make each song its own. Piano and guitar is entwined with synth beats and even auto-tune to go mellow vocals. Songs are contently upbeat, like someone remixed your favorite indie-rock songs. fan would love, but here it’s a nice complement. A personal favorite is “Punchline” which has featured vocals from Mindy White. Malpass, Antelman, and White create a complex three-part harmony for a powerful intertwining chorus. It’s by far the most unique song with its layered chorus and upbeat electro-pop beats. “Ghost” is another song that has gotten a lot of attention. It has a haunting synth driven melody with tortured lyrics drowning within and submerging unsuspecting victims with it. same pace through the whole album, which is between a slow and normal pace. Though, you could blame it on the fact that not many people combine an obvious indie voice with electronica beats. Antelman’s voice grows on you as the one constant you get with the unique melodies. Talking in Your Sleep is an album that takes you into a different world of music. Who says genres have to exclusive to each other? The Cinema combines indie, electro, pop, and rock all in one album. It’s a happy album that will definitely bring you back from a bad mood you were in before. You didn’t think you needed it at first, but perfectly fits in as the not too upbeat and not too slow record you got to have.